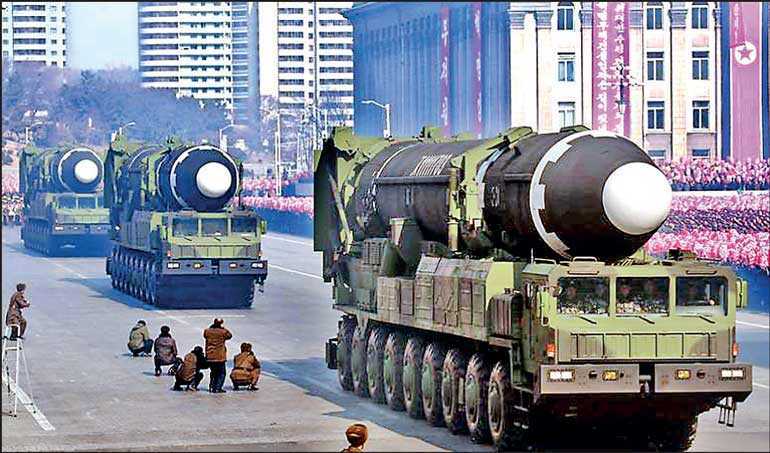 United Nations/Washington (Reuters): North Korea is working to ensure its nuclear and ballistic missile capabilities cannot be destroyed by military strikes, UN monitors said ahead of a meeting between US and North Korean officials to prepare a second denuclearisation summit. Biegun, who held talks with South Korean officials in Seoul on Sunday and Monday, said he would be aiming for “a roadmap of negotiations and declarations going forward, and a shared understanding of the desired outcomes of our joint efforts”.South Korean officials said they and the United States could be looking at a compromise that could expedite North Korea’s denuclearisation – the dismantling of the North’s main Yongbyon nuclear complex, which could be reciprocated by US measures including formally ending the 1950-53 Korean War and setting up a liaison office. But UN sanctions monitors said in a confidential report, submitted to a 15-member UN Security Council sanctions committee and seen by Reuters on Monday, that they had “found evidence of a consistent trend on the part of the DPRK to disperse its assembly, storage and testing locations”, using the abbreviation for North Korea’s official name, the Democratic People’s Republic of Korea. The first summit between Trump and Kim Jong Un last June in Singapore yielded a vague commitment by Kim to work toward the denuclearisation of the Korean peninsula, where U.S. troops have been stationed since the 1950-53 Korean War.The Vietnamese resort town of Danang is seen as the most likely location for the next summit. A 2014 deal that expired last year required South Korea to pay about 960 billion won ($848 million) a year for keeping some 28,500 US troops in South Korea. The allies had appeared unable to strike an accord to renew the deal despite 10 rounds of talks since March.